That’s Szim, guitar and vocals in Top Down, on the first track, Silver Ashes, off their debut album, Rough Roads. 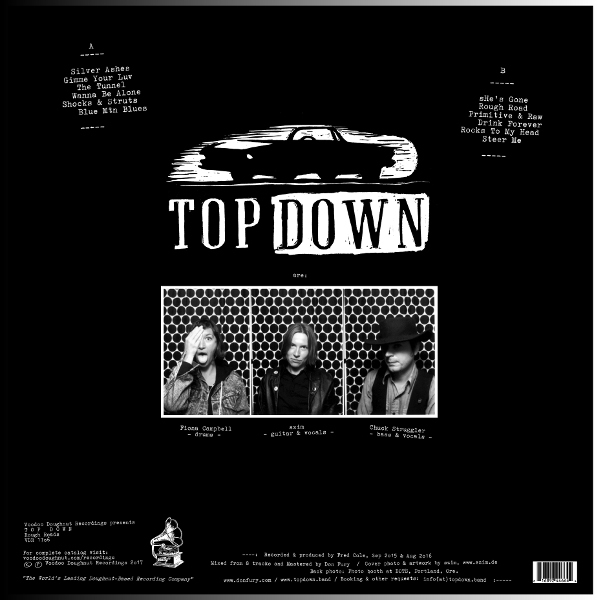 The roads Top Down sing about might as well be the roads between this international trio’s origins. Szim, hails from Germany while Chuck Struggler, bass and vocals and Fiona Campbell, drums are from Portland, OR and New Zealand, respectively. The band initially started out in May 2015 in Portland, Oregon. 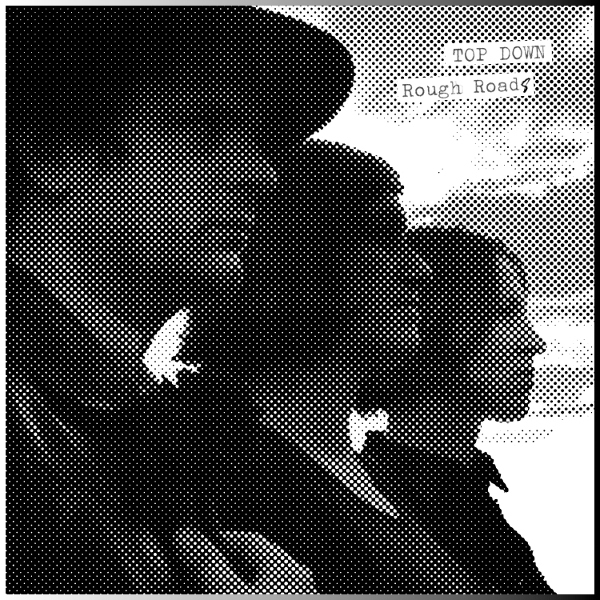 And if that first track sounds anything like another Pacific NW garage punk band, it’s because Fred Cole (Dead Moon, Pierced Arrows, The Rats) produced this record and also shares a co-writing credit on Silver Ashes, which was originally released as a 7” single last year on Voodoo Doughnut Recordings. Rough Roads, is a journey without destination. Powerful guitar riffs, catchy lines & melodies and a tough drum beat take the passenger on a road trip to nowhere through a ragged landscape telling stories of love and failure, doubts and contradictions, and endless struggles and temptation. Sometimes fast, sometimes slow, sometimes loud and sometimes quiet, steeped in a lo-fi sound. And as everything familiar melts down in the horizon you already know: the further you get away the clearer you see.